Fast boat to Nusa Lembongan is the best choice from Bali to Nusa Lembongan. Most fast boat to Nusa Lembongan are depart from Sanur Beach. They offer a free hotel pick up and drop off in Bali and Nusa Lembongan. Nusa Lembongan is only 30 minutes from Sanur. 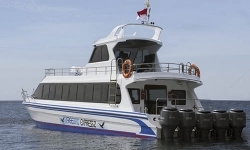 Fast boat to Nusa Lembongan offers four times schedules every day. The early fast boat is at 09.30 AM and the last boat is at 05.00 PM. To see the details of fast boat schedules, you can go online. 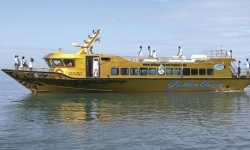 Gilibestdeal.com offer cheapest fast boat tickets to Nusa Lembongan. We offer an instant booking confirmation. To get the best deal, go to search box Book fast boat Tickets Here. Choose the destination to Nusa Lembongan and book the one with your budget. 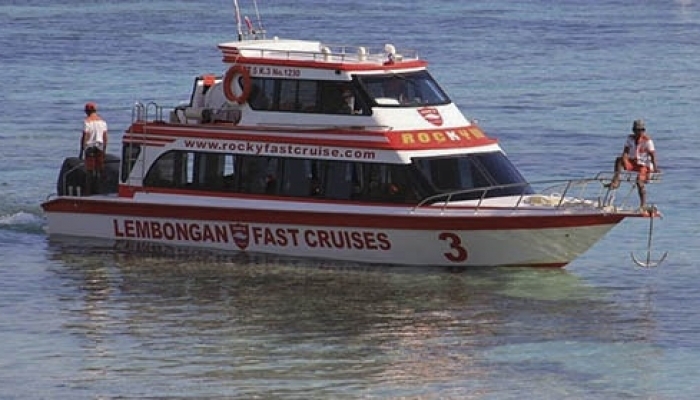 Check fast boat review, Scoot Fast Cruises, and Rocky Fast Cruises. These two operators are the most recommended fast boat to Nusa Lembongan. Nusa Lembongan offer lot of daily activities on your holiday. What you can try to do is Diving, Snorkeling or Island Tour. Glass Bottom Boat, cliff jumping, surfing, Sea walker are also the best you can do. Fast Boat operators also offer some island tour packages in Nusa Lembongan. Information about tour packages just clicks here. 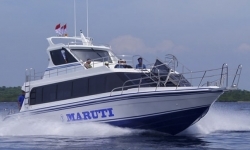 Day cruise package with the fast boat and hotel transfers in Bali. They will do hotel pick up 08.00 AM and leave at 09.00 AM from Sanur Beach. The tour will end at 04.00 PM and get back to Sanur at 04.30 PM. You will be at Sanur at 05.00 PM and then drop to your hotel. The most preferred way to see Nusa Lembongan around is getting on the motorbike. This is quite easy for you to spend your day. Bikes are very easy to find, just try to see local bike rental on the beach side at the harbor. The price is about IDR 50.000 per day. What to Visit on Nusa Lembongan? Take fast boat Bali to Nusa Lembongan and find more best places to visit. Here are some, Dream Beach, Devil’s tear, Mushroom Bay, Mangrove, Underground house, Seaweed farm, Playground surfing Point. The most traveler who stay on Bali just spend a full day on Nusa Lembongan. 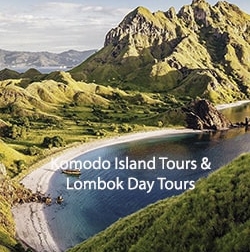 Arrange your fast boat from Sanur to Nusa Lembongan which is including the day tour on Nusa Lembongan. Bali is just about 30 minutes from Nusa Lembongan by fast boat. To book a fast boat from Nusa Lembongan to Bali just go online. 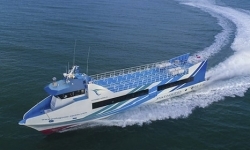 The fast boat schedules to Bali are four times a day. Start early in the morning at 08.00 AM and the last departure at 05.00 PM. Boat company most offer a free hotel pick up on Nusa Lembongan and free hotel drop off in Bali. Book for the cheapest fast boat to Bali online with Us, a recommended travel agent who always provide an easy way to book your travel.